Launching a contemporary digital marketing campaign can be tricky and involves several layers of integration. What makes a campaign contemporary is its use of new and innovative digital channels and how you use these alongside more traditional methods of marketing. In order for your campaign to be successful, it needs to have an emotional connection with your audience and consistent messaging across each channel. You may want to consider Pickton and Broderick’s 4 Cs 'Coherence, Consistency, Continuity and Complementary. You can read more about these here. We have put together some great examples of successful contemporary digital marketing campaigns, to help inspire your own campaigns. The #FollowTheRabbit campaign recently launched by O2 aims to represent curiosity. The campaign will include TV, mobile, live events and Social media. It will also feature O2’s first Snapchat lens and geo-targeted filters. This campaign introduces a new character to engage the customer and pull them in to discover more about what’s on offer. O2 look to grab your attention with an animal previously unrelated to the brand, re- engaging customers and encouraging you to follow him and tap into the customer’s sense of adventure. When you are brainstorming your next campaign consider ways of re-engaging customers with something unexpected. The NHS asked brands, organizations, and influencers to remove A, O, and B (the letters that make up the blood groups) from their websites, Twitter names, and signage. The campaign went viral in just 10 days people were not just dropping letters, but registering to donate blood. They saw over 30,000 people registered as new blood donors in the first 10 days. The reason this campaign received so much engagement was because people were able to get involved and help make a difference. Typically, an audience will engage more if there’s some way for them to be involved personally. Uber used Facebooks bot on messenger, allowing customers to request rides by starting a conversation with their Uber chatbot. Users were able to requests rides from within their personal Facebook messenger conversations. 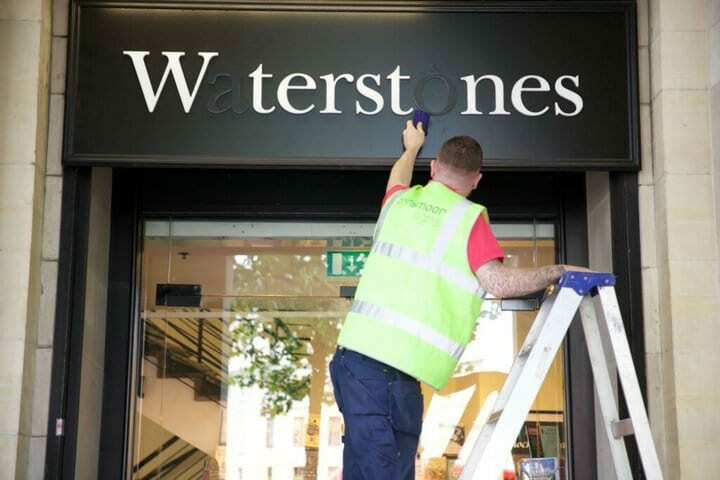 They also use this platform for real-time customer service. Chatbots are becoming increasingly popular, opening up exciting opportunities for brands to experiment with new ad platforms. As consumer behaviour changes businesses also need to move with them to ensure they are connecting with their customers in a modern way. 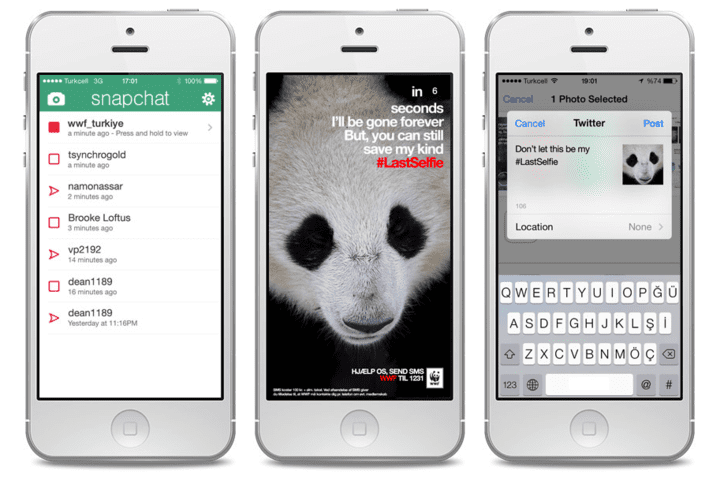 The World Wildlife Fund used Snapchat to raise awareness for endangered species. 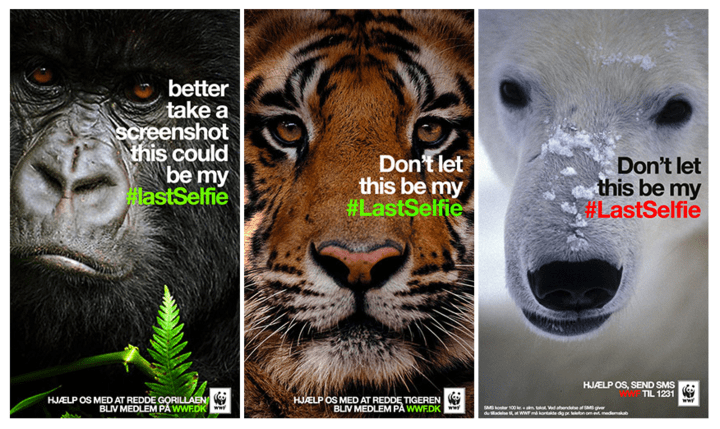 They placed Ad on Snapchat featuring 5 different endangered animals with the same message ‘Don’t let this be my #lastselfie’, encouraging users to share the message with their friends across social media. The campaign received 40,000 tweets and in just three days they hit their donation target for the month. WWF used the platform to spark a new generation of engagement. If you work in the non-profit sector and are trying to raise awareness for your charity this is a great example of how to successfully convince people of your cause, using modern tactics. Dove's image hack campaign aimed to address how the industry stereotyped women when you searched the term 'beautiful woman'. They 'hacked' Shutterstock and uploaded thousands of new images by collaborating with advertising photographers to take photos of women in non-stereotypical situations. The images were uploaded to Shutterstock and tagged to change the page algorithm, so searches on the site provide realistic pictures of women. Overall 42 brands came on board and used the photos in their campaigns and overall 1729 images were downloaded. Image_Hack Case Study from Awesome pomegranate on Vimeo. What can we learn from this campaign? By connecting with your audience in on a personal level, you can gain real engagement with your customers. Start listening to what really matters to them and try to address the issue. When it comes to inspiring, contemporary campaigns John Lewis nails it on the head every time. Last years #Busterthedog received over 25million views on YouTube which they launched alongside a Snapchat campaign and bespoke Twitter stickers to personalise photos with Buster and his friends. What makes this campaign so inspiring? It offers both emotion and humour, each year we fall in love all over again with new characters such as Monty the Penguin, The Man on the Moon and The Snowman. John Lewis deliver both the expected and unexpected. In 2016 NASA's Astronaut, Scott Kelly returned from a one-year space mission aimed to test the limits of human endurance in space. Whilst in space using the hashtag #AYearInSpace, millions of spectators followed the year-long adventure. Astronaut Kelly tweeted, posted content on Instagram, YouTube, Facebook (including Facebook Live Sessions), and Snapchat. 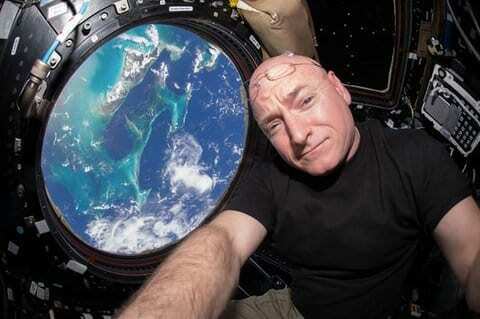 NASA looked to engage a whole new audience, by using platforms that millennials would use. As a result, they sparked a fresh interest in younger generations. If you have any inspiring digital marketing campaigns you would like to share please tweet us, tell us on Facebook or comment below. We would love to know what inspires you. If you are looking to create an integrated marketing campaign follow our tried-and-tested approach to create winning campaigns. Our Marketing campaign planning toolkit provides actionable templates and guides, written by experts in digital marketing. I was previously the Social Media Executive for Smart Insights and managed all of Smart Insights social media channels and social strategy. I love all things social, most of the time you will find me endlessly scrolling through Instagram. You can follow me on Twitter or connect on LinkedIn.